Keith Fitz-Gerald wrotes: VANCOUVER, B.C. – The U.S. financial crisis has cut so deep – and the government has taken on so much debt in misguided attempts to bail out such companies as Fannie Mae ( FNM ) and Freddie Mac ( FRE ) – that even larger financial shocks are still to come, global investing guru Jim Rogers said in an exclusive interview with Money Morning . Indeed, the U.S. financial debacle is now so ingrained – and a so-called “Super Crash” so likely – that most Americans alive today won't be around by the time the last of this credit-market mess is finally cleared away – if it ever is, Rogers said. U.S. Federal Reserve Chairman Ben S. Bernanke should “resign” for the bailout deals he's handed out as he's tried to battle this credit crisis. That the U.S. national debt – the roughly $5 trillion held by the public– essentially doubled in the course of a single weekend because of the Fed-led credit crisis bailout deals. That U.S. consumers and investors can expect much-higher interest rates – noting that if the Fed doesn't raise borrowing costs, market forces will make that happen. And that the average American has no idea just how bad this financial crisis is going to get. Rogers first made a name for himself with The Quantum Fund, a hedge fund that's often described as the first real global investment fund, which he and partner George Soros founded in 1970. Over the next decade, Quantum gained 4,200%, while the Standard & Poor's 500 Index climbed about 50%. It was after Rogers "retired" in 1980 that the investing masses got to see him in action. Rogers traveled the world (several times), and penned such bestsellers as "Investment Biker" and the recently released " A Bull in China ." And he made some historic market calls: Rogers predicted China's meteoric growth a good decade before it became apparent and he subsequently foretold of the powerful updraft in global commodities prices that's fueled a year-long bull market in the agriculture, energy and mining sectors. Keith Fitz-Gerald (Q): Looks like the financial train wreck we talked about earlier this year is happening. Jim Rogers: There was a train wreck, yes. Two or three – more than one, as you know. [U.S. Federal Reserve Chairman Ben S.] Bernanke and his boys both came to the rescue. Which is going to cover things up for a while. And then I don't know how long the rally will last and then we'll be off to the races again. Whether the rally lasts six days or six weeks, I don't know. I wish I did know that sort of thing, but I never do. (Q): Is there anything else that you think he could do that would be correct other than let these things fail? Rogers: Well, at this stage, it doesn't seem like he can do it. He could raise interest rates – which he should do, anyway. Somebody should. The market's going to do it whether he does it or not, eventually. The problem is that he's got all that garbage on his balance sheet now. He has $400 billion of questionable assets owing to the feds on his balance sheet. I mean, he could try to reverse that. He could raise interest rates. Yeah, that's what he could do. That would help. It would cause a shock to the system, but if we don't have the shock now, the shock's going to be much worse later on. Every shock, so far, has been worse than the last shock. Bear-Stearns [now part of JP Morgan Chase & Co. ( JPM )] was one thing and then it's Fannie Mae ( FNM ), you know, and now Freddie Mac ( FRE ). The next shock's going to be even bigger still. So the shocks keep getting bigger because we kept propping things up and this has been going on at least since Long-Term Capital Management . They've been bailing everyone out and [former Fed Chairman Alan] Greenspan took interest rates down and then he took them down again after the “ dot-com bubble ” shock, so I guess Bernanke could try to start reversing some of this stuff. But he has to not just reverse it – he'd have to increase interest rates a lot to make up for it and that's not going to solve the problem either, because the basic problems are that America's got a horrible tax system, it's got litigation right, left, and center, it's got horrible education system, you know, and it's got many, many, many [other] problems that are going to take a while to resolve. If he did at least turn things around – turn some of these policies around – we would have a sharp drop, but at least it would clean out some of the excesses and the system could turn around and start doing better. But this is academic – he's not going to do it. But again the best thing for him would be to abolish the Federal Reserve and resign. That'll be the best solution. Is he going to do that? No, of course not. He still thinks he knows what he's doing. (Q): Earlier this year, when we talked in Singapore, you made the observation that the average American still doesn't know anything's wrong – that anything's happening. Is that still the case? (Q): What would you tell the “Average Joe” in no-nonsense terms? Rogers: I would say that for the last 200 years, America's elected politicians and scoundrels have built up $5 trillion in debt. In the last few weekends, some un-elected officials added another $5 trillion to America's national debt. Suddenly we're on the hook for another $5 trillion. There have been attempts to explain this to the public, about what's happening with the debt, and with the fact that America's situation is deteriorating in the world. I don't know why it doesn't sink in. People have other things on their minds, or don't want to be bothered. Too complicated, or whatever. I'm sure when the [ British Empire ] declined there were many people who rang the bell and said: “Guys, we're making too many mistakes here in the U.K.” And nobody listened until it was too late. When Spain was in decline, when Rome was in decline, I'm sure there were people who noticed that things were going wrong. (Q): Many experts don't agree with – at the very least don't understand – the Fed's current strategies. How can our leaders think they're making the right choices? What do you think? Rogers: Bernanke is a very-narrow-gauged guy. He's spent his whole intellectual career studying the printing of money and we have now given him the keys to the printing presses. All he knows how to do is run them. Bernanke was [on the record as saying] that there is no problem with housing in America. There's no problem in housing finance. I mean this was like in 2006 or 2005. Rogers: He is the Federal Reserve and the Federal Reserve more than anybody is supposed to be regulating these [financial institutions], so they should have the inside scoop, if nothing else. Rogers : It's mind-boggling. Here's a man who doesn't understand the market, who doesn't understand economics – basic economics. His intellectual career's been spent on the narrow-gauge study of printing money. That's all he knows. Yes, he's got a PhD, which says economics on it, but economics can be one of 200 different narrow fields. And his is printing money, which he's good at, we know. We've learned that he's ready, willing and able to step in and bail out everybody. This is nothing new. Whole systems have been taken down before. We've had it happen plenty of times. (Q): History is littered with failed financial institutions. Rogers: I know. It's not as though this is the first time it's ever happened. But since [Chairman Bernanke's] whole career is about printing money and studying the Depression , he says: “Okay, got to print some more money. Got to save the day.” And, of course, that's when he gets himself in deeper, because the first time you print it, you prop up Institution X, [but] then you got to worry about institution Y and Z. (Q): And now we've got a dangerous precedent. Rogers: That's exactly right. And when the next guy calls him up, he's going to bail him out, too. (Q): What do you think [former Fed Chairman] Paul Volcker thinks about all this? Rogers: Well, Volcker has said it's certainly beyond the scope of central banking, as he understands central banking. (Q): That's pretty darn clear. Rogers: Volcker's been very clear – very clear to me, anyway – about what he thinks of it, and Volcker was the last decent American central banker. We've had couple in our history: Volcker and William McChesney Martin were two. You know, McChesney Martin was the guy who said the job of a good central banker was to take away the punchbowl when the party starts getting good. Now [the Fed] – when the party starts getting out of control – pours more moonshine in. McChesney Martin would always pull the bowl away when people started getting a little giggly. Now the party's out of control. (Q): This could be the end of the Federal Reserve, which we talked about in Singapore. This would be the third failure – correct? Rogers: Yes. We had two central banks that disappeared for whatever reason. This one's going to disappear, too, I say. (Q): Throughout your career you've had a much-fabled ability to spot unique points in history – inflection points, if you will. Points when, as you put it, somebody puts money in the corner at which you then simply pick up. Rogers: That's the way to invest, as far as I'm concerned. (Q): So conceivably, history would show that the highest returns go to those who invest when there's blood in the streets, even if it's their own. (Q): Is there a point in time or something you're looking for that will signal that the U.S. economy has reached the inflection point in this crisis? Rogers: Well, yeah, but it's a long way away. In fact, it may not be in our lifetimes. Of course I covered my shorts – my financial shorts. Not all of them, but most of them last week. So, if you're talking about a temporary inflection point, we may have hit it. If you look back at previous countries that have declined, you almost always see exchange controls – all sorts of controls – before failure. America is already doing some of that. America, for example, wouldn't let the Chinese buy the oil company , wouldn't let the [Dubai firm] buy the ports , et cetera. But I'm really talking about full-fledged, all-out exchange controls. That would certainly be a sign, but usually exchange controls are not the end of the story. Historically, they're somewhere during the decline. Then the politicians bring in exchange controls and then things get worse from there before they bottom. Before World War II, Japan's yen was two to the dollar. After they lost the war, the yen was 500 to the dollar. That's a collapse. That was also a bottom. These are not predictions for the U.S., but I'm just saying that things have to usually get pretty, pretty, pretty, pretty bad. It was similar in the United Kingdom. In 1918, the U.K. was the richest, most powerful country in the world. It had just won the First World War, et cetera. By 1939, it had exchange controls and this is in just one generation. And strict exchange controls. They in fact made it an act of treason for people to use anything except the pound sterling in settling debts. (Q): Treason? Wow, I didn't know that . Rogers: Yes…an act of treason. It used to be that people could use anything they wanted as money. Gold or other metals. Banks would issue their own currencies. Anything. You could even use other people's currencies. Things were so bad in the U.K. in the 1930s they made it an act of treason to use anything except sterling and then by '39 they had full-exchange controls. And then, of course, they had the war and that disaster. It was a disaster before the war. The war just exacerbated the problems. And by the mid-70s, the U.K. was bankrupt. They could not sell long-term government bonds. Remember, this is a country that two generations or three generations before had been the richest most powerful country in the world. Now the only thing that saved the U.K. was the North Sea oil fields, even though Prime Minister Margaret Thatcher likes to take credit, but Margaret Thatcher has good PR. Margaret Thatcher came into office in 1979 and North Sea oil started flowing. And the U.K. suddenly had a huge balance-of-payment surplus. You know, even if Mother Teresa had come in [as prime minister] in '79, or Joseph Stalin, or whomever had come in 1979 – you know, Jimmy Carter, George Bush, whomever – it still would've been great. You give me the largest oil field in the world and I'll show you a good time, too. That's what happened. (Q): What if Thatcher had never come to power? Rogers: Who knows, because the U.K. was in such disastrous straits when she came in. And that's why she came to power…because it was such a disaster. I'm sure she would've made things better, but short of all that oil, the situation would've continued to decline. So it may not be in our lifetimes that we'll see the bottom, just given the U.K.'s history, for instance. (Q): That's going to be terrifying for individual investors to think about. Rogers: Yeah. But remember that America had such a magnificent and gigantic position of dominance that deterioration will take time. You know, you don't just change that in a decade or two. It takes a lot of hard work by a lot of incompetent people to change the situation. The U.K. situation I just explained…that decline was over 40 or 50 years, but they had so much money they could have continued to spiral downward for a long time. Even Zimbabwe, you know, took 10 or 15 years to really get going into it's collapse, but Robert Mugabe came into power in 1980 and, as recently as 1995, things still looked good for Zimbabwe. But now, of course, it's a major disaster. That's one of the advantages of Singapore. The place has an astonishing amount of wealth and only 4 million people. So even if it started squandering it in 2008, which they may be, it's going to take them forever to do so. Rogers: Sure…when our entire U.S. cabinet has Swiss bank accounts. Linked inside bank accounts. When that happens, we'll know we're getting close because they'll do it even after it's illegal – after America's put in the exchange controls. (Q): They'll move their own money . Rogers: Yeah, because you look at people like the Israelis and the Argentineans and people who have had exchange controls – the politicians usually figured it out and have taken care of themselves on the side. (Q): We saw that in South Africa and other countries, for example, as people tried to get their money out. Rogers: Everybody figures it out, eventually, including the politicians. They say: “You know, others can't do this, but it's alright for us.” Those days will come. I guess when all the congressmen have foreign bank accounts, we'll be at the bottom. But we've got a long way to go, yet. 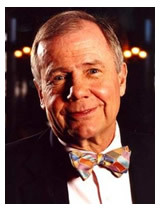 Money Morning Exclusive Jim Rogers Interview From Singapore (Part I) : Jim Rogers: More Pain for the Greenback, and the Failure of the Federal Reserve . Money Morning Exclusive Interview From Singapore (Part II) : Jim Rogers: China's Economic Advance is All But Unstoppable . Wikipedia : Long-Term Capital Management . CBS News: Dubai Firm Outlines Port Sales Plan . Wikipedia : The Dot-Com Bubble . The San Diego Union Tribune: Chinese Thwarted on Unocal Deal . Wikipedia : The Great Depression . Money Morning Financial Commentary: (Jimmy) Rogers and Me: The Latest Wisdom From a Global Investing Guru . Wikipedia: North Sea Oil . Wikipedia: U.S. Public Debt . russia was found out and putin "took care of him" along with Exxon. The USA is still the "500 pound gorilla" and he is just an other rich guy who renounced his citizenship so he could get out of paying federal income taxes. I'll bet he Never returns to America, lest he'd be liable for taxes !.